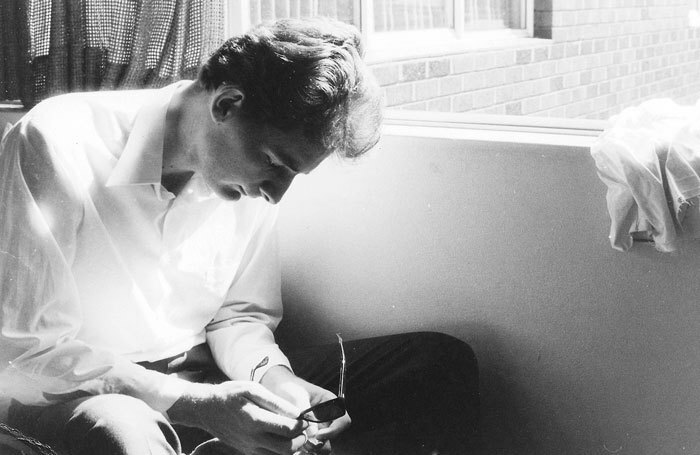 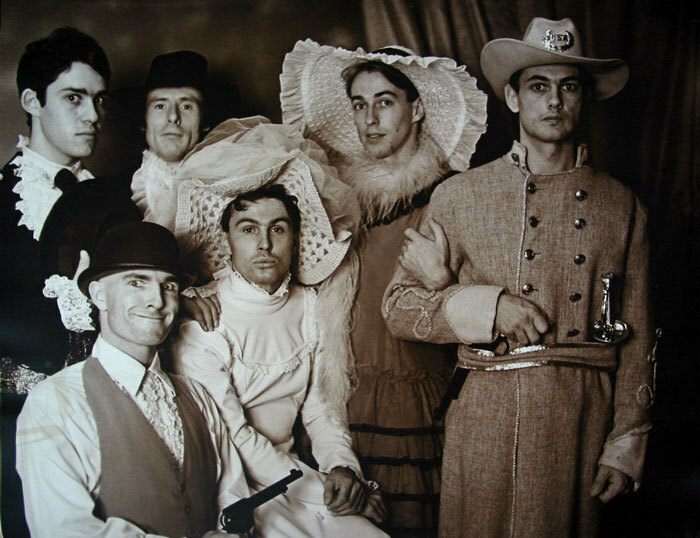 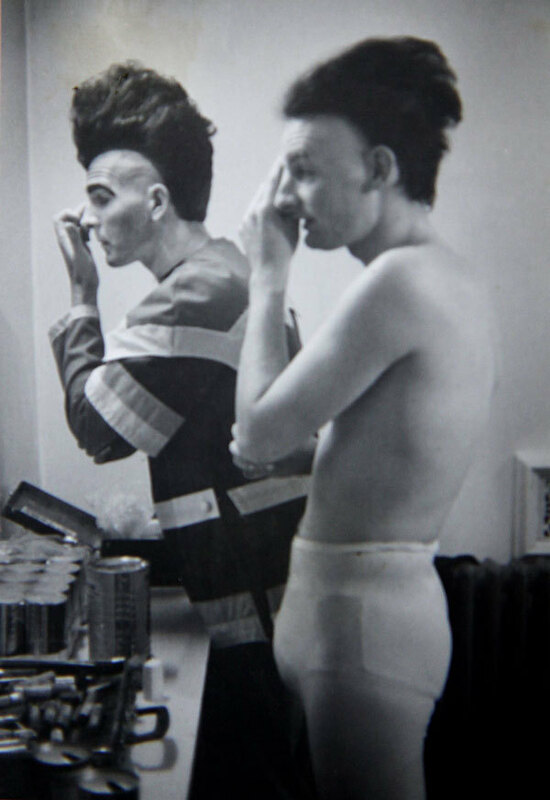 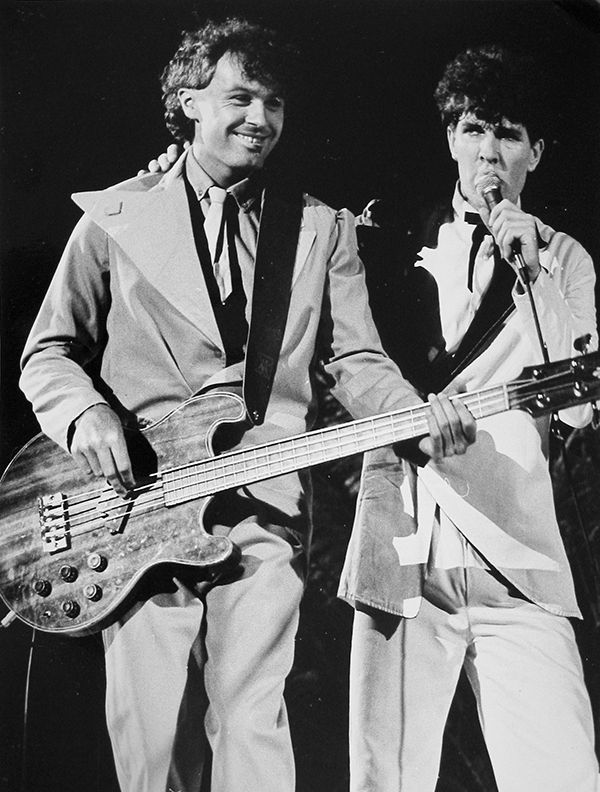 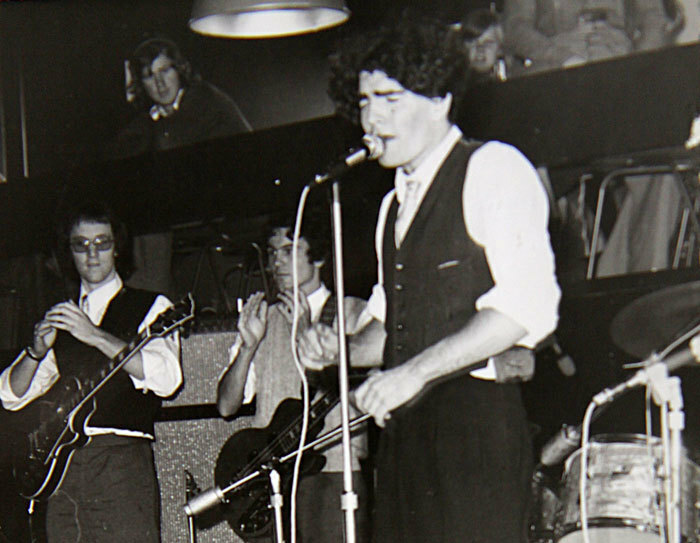 Mike Chunn was a member of Split Ends (Split Enz after February 1974) from October 1972 until April 1977. 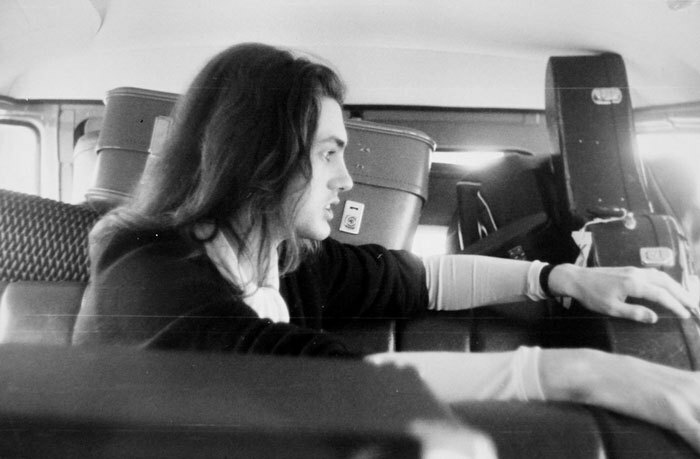 These images are from his personal archive. 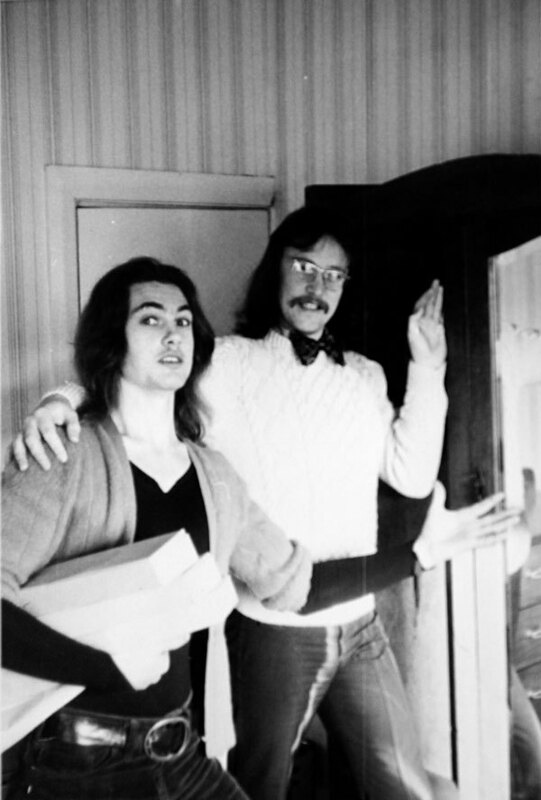 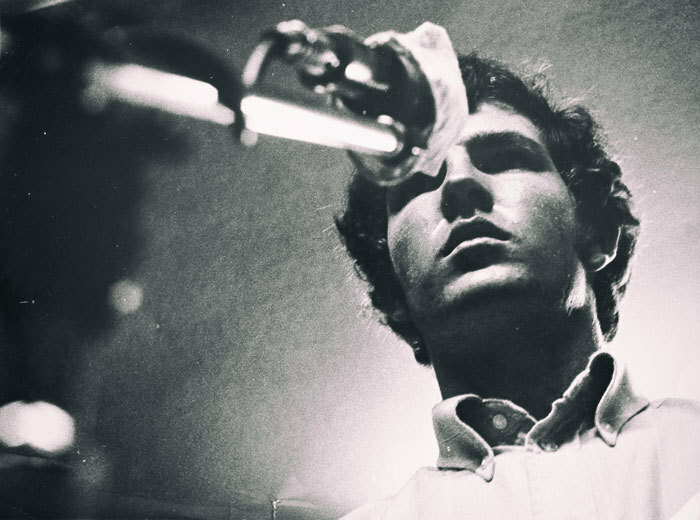 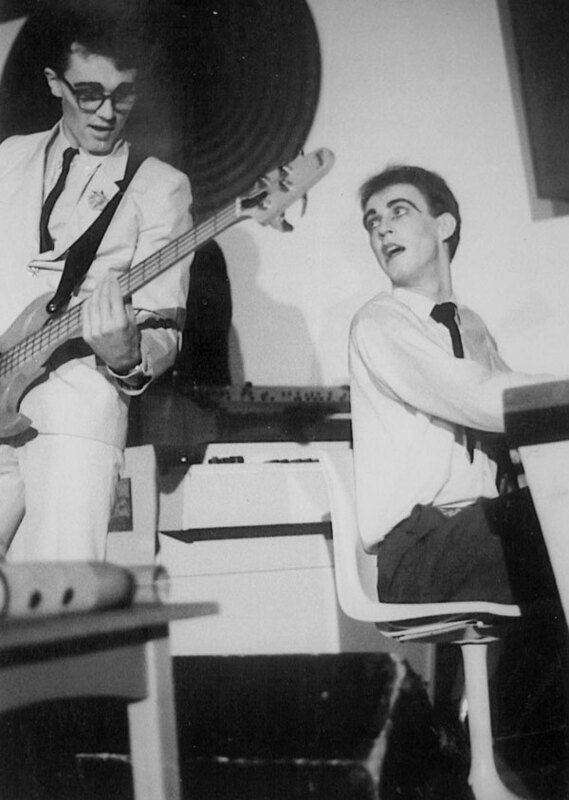 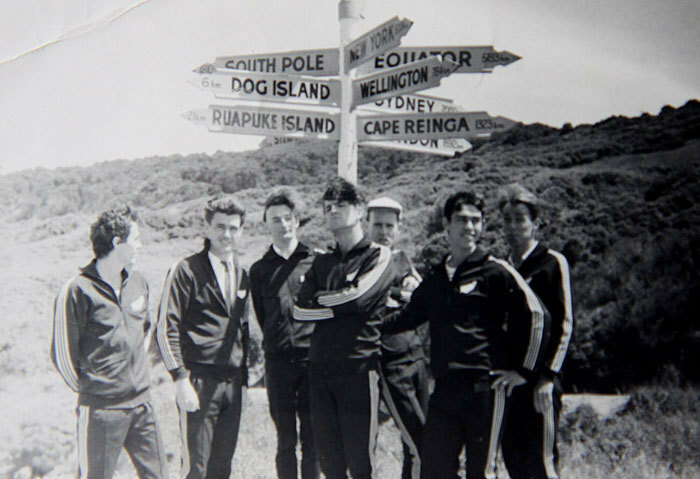 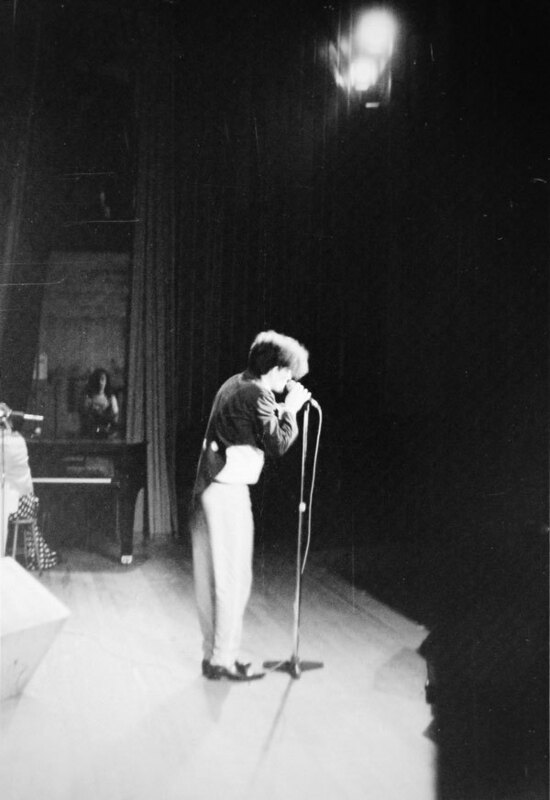 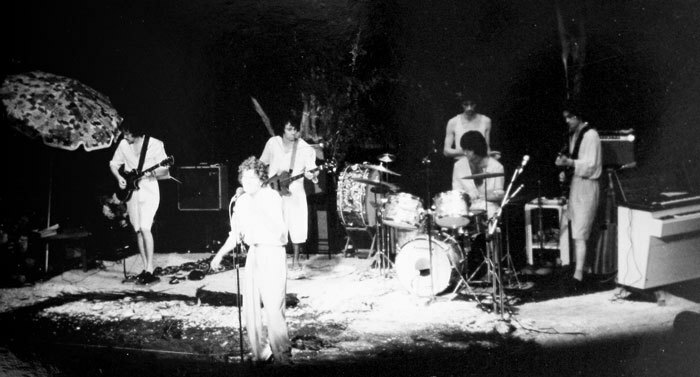 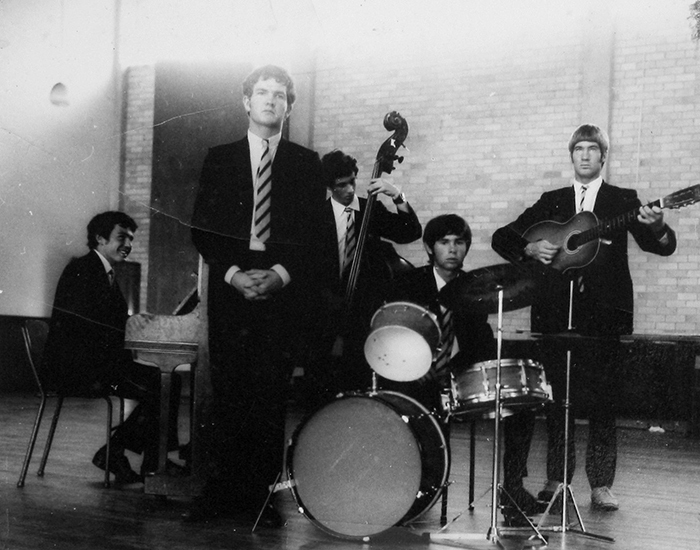 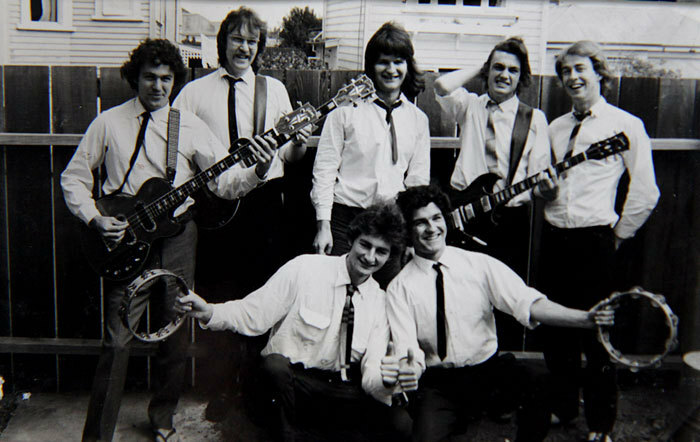 Pre Ends: Tim Finn and Mike Chunn (on piano) in their Sacred Heart College school band, the winners of the school's 1970 Walter Kirby Music Competition. 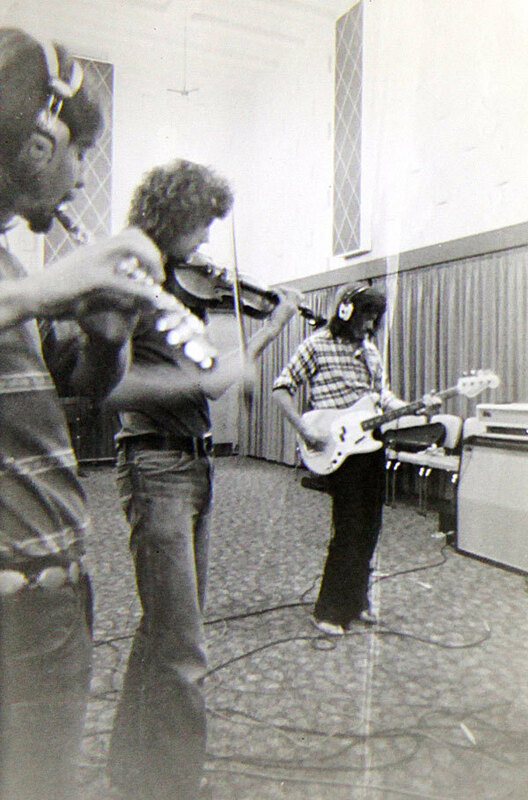 Also in the picture are Geoffrey Chunn on bass, Paddy O'Brien on guitar and Paul Fitzgerald on drums. 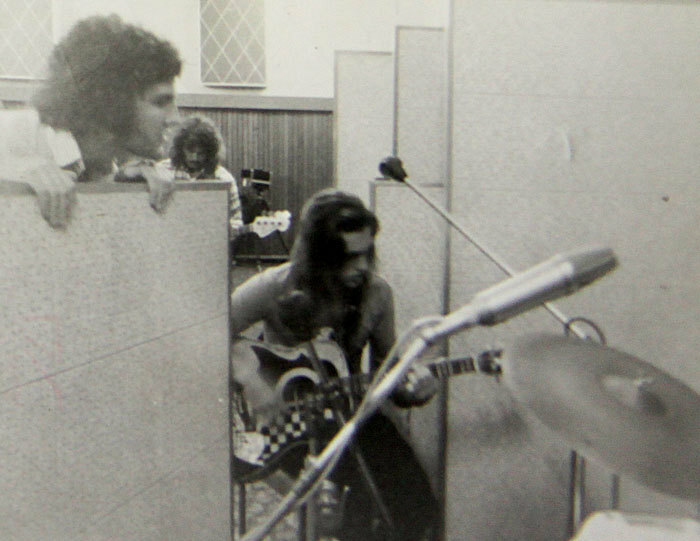 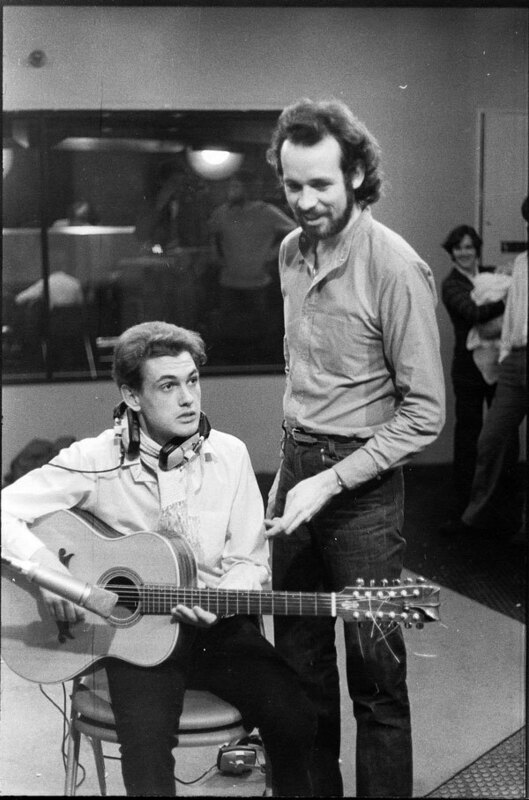 Split Ends recording For You at Stebbings Studios, Auckland, in February 1973 - Tim Finn, Mike Chunn and Phil Judd. 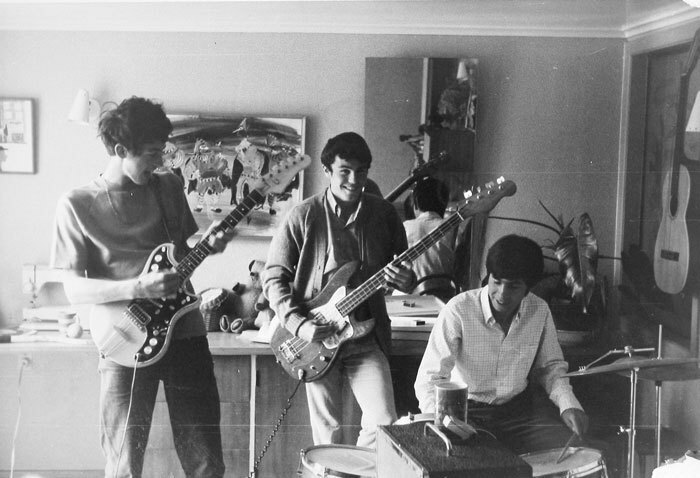 The band was only a few months old at the time but had been spotted playing live by producer/promoter Barry Coburn who put them in the studio and talked Phonogram into releasing a single on their Vertigo label. 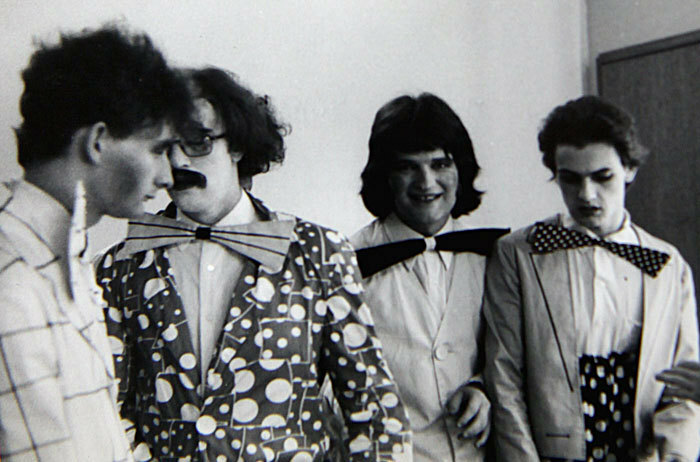 Pre Ends: Mike Chunn's first band was MOSES. 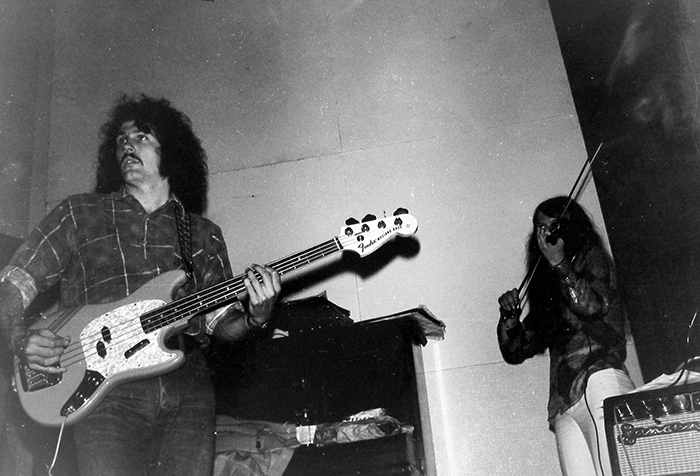 A guest female violinist played a gig or two. 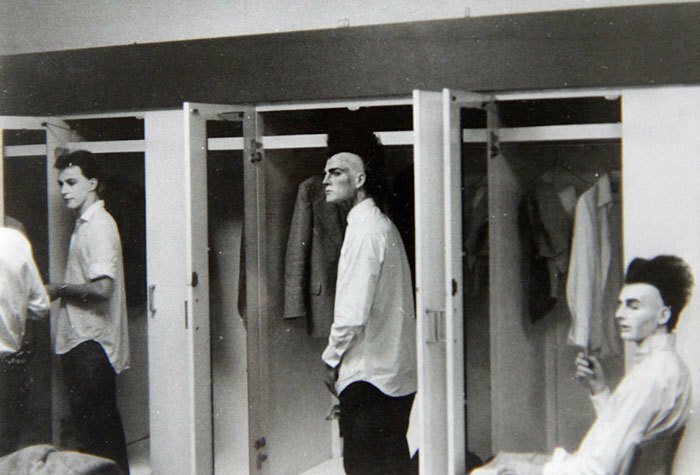 Taken in a suburban hall in 1971.